Last year I hosted 2 polls to rate the top Canadian personal finance blogs and the top Canadian investing blogs. It was fun connecting with all the Canadian bloggers and seeing whose followers were most supportive. Plus I was pretty happy with the amount of participation. So I’ll be hosting the polls again this year. 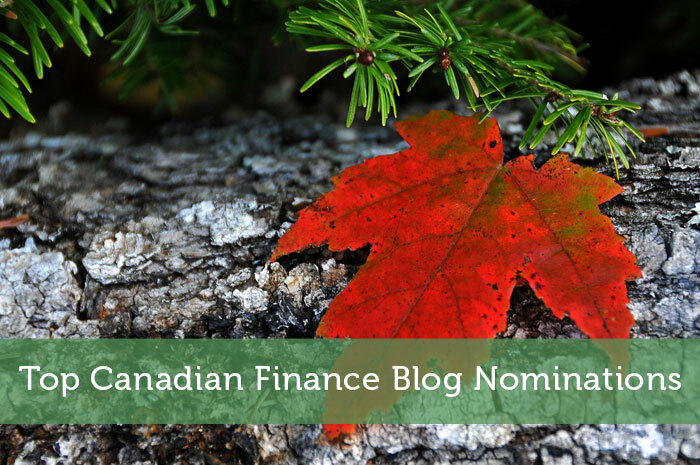 If you have a Canadian finance blog and want to be included in this year’s edition of the poll, shoot me an e-mail. If you were included in last year’s poll and published a post in the last month, you will be automatically included. In that case there is no need to e-mail me for inclusion. The poll will likely have a separate investing category to give those blogs the attention they deserve. Also if I have the time I’ll be creating some badges to display on your blogs. Hopefully that will help everyone get more votes and give bloggers more incentive to do well in the polls. If anyone has suggestions on how to improve the format of the polls, I’m all ears. For example, how many votes do you think each person should get? Last time around people were able to select their 5 favorite posts. Do you think it would be better as a 2 stage poll with the top vote getters going on to a final vote? Like last year this post will be concluded in time for Canada Day. I’m going to try to start the poll by the end of January so there is plenty of time to vote. but I like being able to select a number of your favorites. Good to see that you are doing this again. Good to see that it is a poll. I’m interested to see how much more accurate the poll will be now that my blog is more established. Last time around I was a relative newbie. I like the badge idea. Can I say our blog is from Canada and get an entry? Hmmm, I think all of your posts about previous US presidents might give you away. Man, I feel so left out! What do they win if they get the top spot? You should get some sponsors and have a $100 cash prize or something for the winner. Having some cash prizes would make it more attractive. I’ll have to dig through my contacts to see if I can find a good Canadian company that would be interest. Thanks for the suggestion Jason. I bet you are looking forward to this after you ripped it up in the last poll. Now that you’ve actually had time to solidify your following, I’m sure you’ll do very well again. I like the idea of ranked voting. 3 points to your first pick, 2 points, for your second, and 1 point for your first. Don’t some countries run their elections like that? Hmmm, interesting setup. I’ve heard of some kind of voting like that. I don’t know if I can find polling software that can handle that setup though. While simplicity is great, I like the two stage idea. It helps to be able to vote again if your favorite blog didn’t make it to the final round. Yeah I’m leaning towards that route. The first round of voting leaves some people conflicted about voting for their personal favorites versus the actual best. So the second round should make the final result a lot more concrete. I can’t wait to see the list and love the badge idea. It’s going to be very tough to choose just one blog, there are so many great ones I follow for different reasons. I do think I’ll allow people to pick several blogs since it is tough to choose one. Based on the ideas so far, I may just have to get a plugin custom programmed for this. I’m with Jason, cash money is always fun. Also, I would modify the rules and allow iHeartBudgets into the contest. I’m just barely south of you guys! You’re almost close enough to be an honorary Canadian for this contest Jake. Then again you haven’t made it up here for any of the blogger meetups. How hard is it to change my citizenship so i can add my site to the poll? Even though I can’t add mine, there were some great blogs from last year….looking forward to seeing the new list this year. Yeah I think you’d face some challenges there. I don’t think they’d accept my blog’s poll as a valid reason to get dual citizenship lol. Great idea! I also like the ranking idea. Go Canada! Glad you like the idea Catherine. I agree, Go Canada! I don’t like the idea of one entry per person because I have more than one nominee. I suggest that you make it three entries per person. 3 choices per person is probably a good idea. Choosing a single blog from such a big list is a little difficult. You’re right that 3 probably is better than 5. With 5 people might choose some that they just remember and may not necessarily be one of the best. I don’t mind doing the extra work for a 2 stage vote. I know that just brings more people back to my blog anyway. I do like your suggestion about winners doing a guest post. I’ll probably give winners the option if they want to. woohoo, go Canadian PF blogs! Yep, it’s great to see so many great Canadian blogs out there.